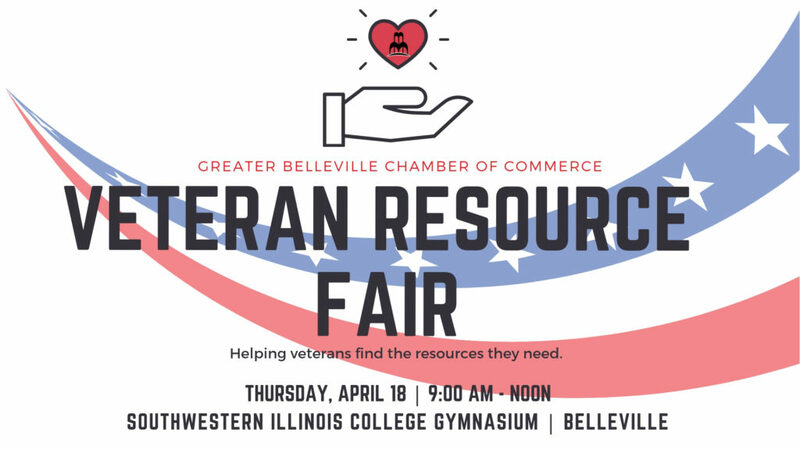 The Greater Belleville Chamber of Commerce is helping veterans find local the resources they need at their first Veteran Resource Fair this Thursday, April 18 from 9am-noon in the Southwestern Illinois College Gym in Belleville. Veterans and community members are welcome to join this free event and connect with over 30 local companies and organizations offering a wide variety of resources and opportunities including job search opportunities, resume advice, healthcare services, military discounts, and more. SWIC is a Metro-link bus and train stop. For more information regarding this event, please contact the Chamber at 618-233-2015.